Self-catering holiday house in the heart of Still Bay. A popular coastal village in Hessequa, Western Cape along the Garden Route. Sprawled around the Goukou River estuary and a great holiday destination for all water enthusiasts as well as nature lovers. 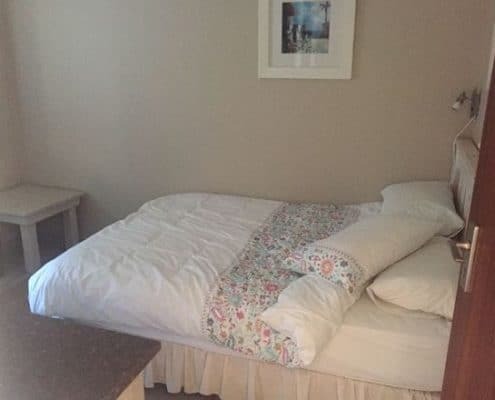 This self-catering accommodation for 6 is within walking distance from OK Grocers and other shops as well as doctors and Carewell medical facility. 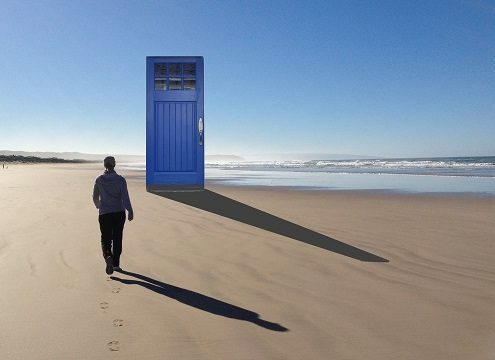 In fact, nothing in Still Bay is really very far and those who love to walk, can actually walk to any destination in Still Bay. This includes the river and the western blue flag beach. 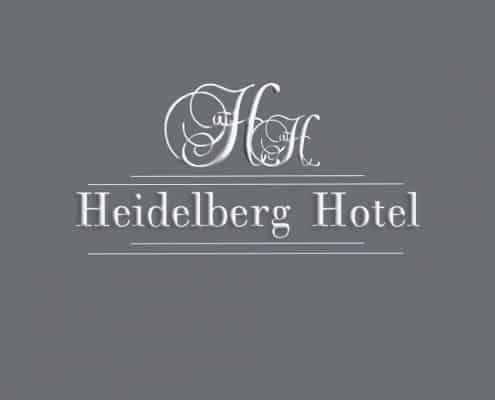 Newly restored and revamped historic Hotel in Heidelberg, Western Cape, South Africa, on the N2 along the arresting Garden Route. They believe in conviviality and thus wish to create an outstanding guest experience for you, whether on holiday or on business. Therefore their professional as well as friendly service team is ready 24/7 for your convenience. 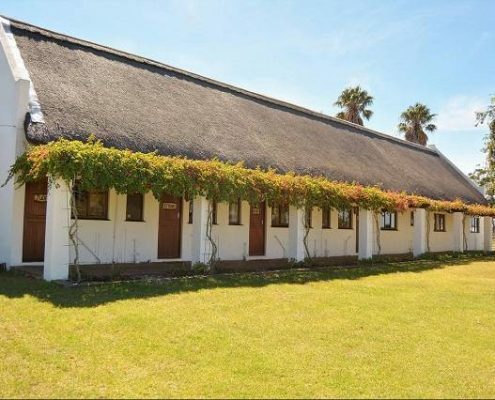 Self-catering holiday accommodation for 4 in Still Bay, an enchanting coastal town in the Hessequa area, Western Cape Province, South Africa. Spread around the estuary of the Goukou River where it meets the Indian ocean. Within 2 km from the beach as well as the river-mouth as well as within brisk walking distance from many amenities. 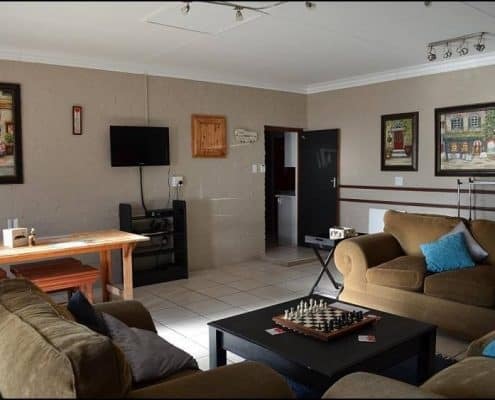 This accommodation is ideal for a family of four and sits on the same property as the owner's house. BuchuBlues detoxes the soul like the buchu bush detoxes the body. A somewhat hidden self-catering accommodation for two in the coastal town of Still Bay in the Western Cape, South Africa. Sitting at the far end of a long, narrow, sloping plot bordering on a wide green strip of conserved fynbos and milk-wood trees. At the top of the driveway to the right is a 600 year old milk-wood tree which had toppled over and kept on growing even so. 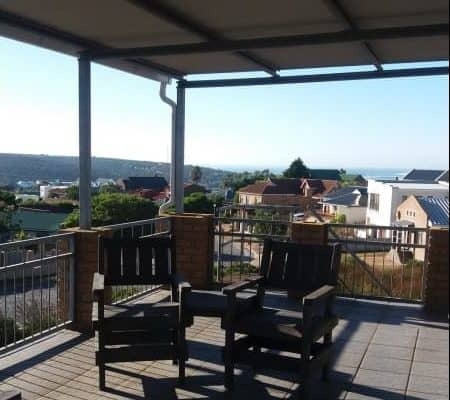 Self-catering three bed-roomed holiday house in a safe complex in Still Bay. Enclosed by electric fencing and entry only through a remote controlled gate. The Palinggat-Oord complex is perfectly situated within walking distance from grocery shops, a pharmacy, hair dressers, gift shops, restaurants as well as doctors. Also within walking distance from the Community Hall where many of the entertainment and events happen during the holiday season. 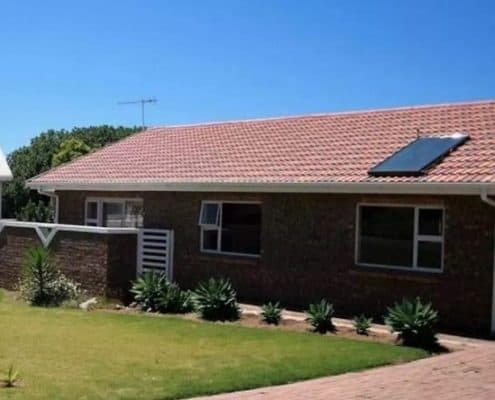 Guest House, B&B, or self-catering holiday accommodation in Still Bay, a seaside town in the Western Cape on the Garden Route. 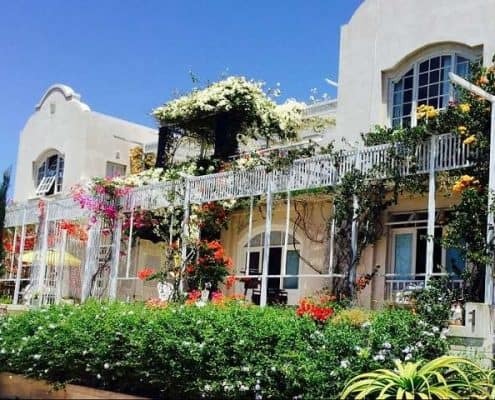 This invitingly beautiful Dutch-Mediterranean style guest house overlooks the bay to the one side as well as the unspoiled Skulpies Bay coastal nature reserve and milk-wood forest to the other side. 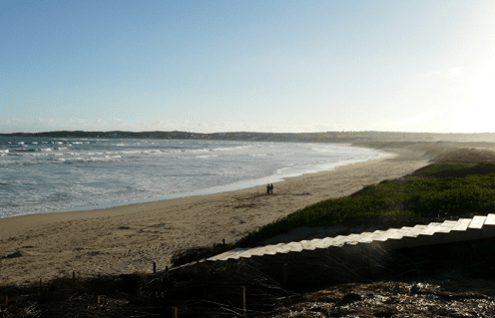 Charlotte House is within a few minutes walk from the harbour, the western blue flag beach as well as the Stilbaai Golf Club. Self-Catering accommodation in the delightful coastal town of Still Bay only a 5 minute walk from the beach on the western side of the Goukou River. 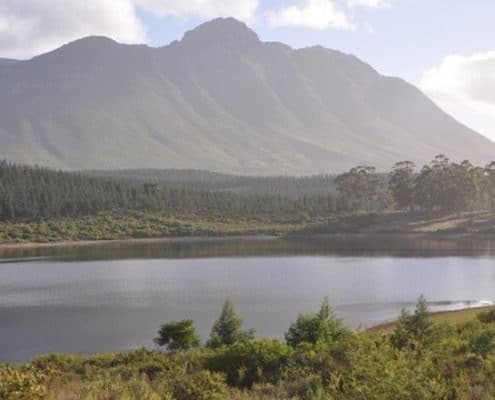 One of the most popular holiday destinations along the Garden Route in the Western Cape offering long stretches of sandy beaches. The main beach has blue flag status, meaning unsoiled swimming water as well as well-trained lifeguards during the high season between November through February. 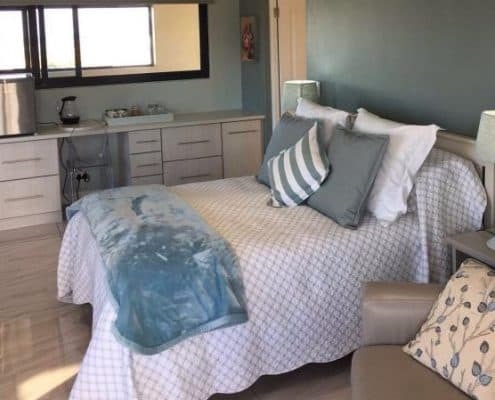 Guest house or Bed & Breakfast offering luxurious accommodation and located in the Heights in Still Bay, a charming coastal town along the Garden Route. The gorgeous view partly includes the Goukou River estuary as well as the sea to the right. Also, on a clear day, the Sleeping Beauty mountain peak in the Langeberge Mountain range to the left. 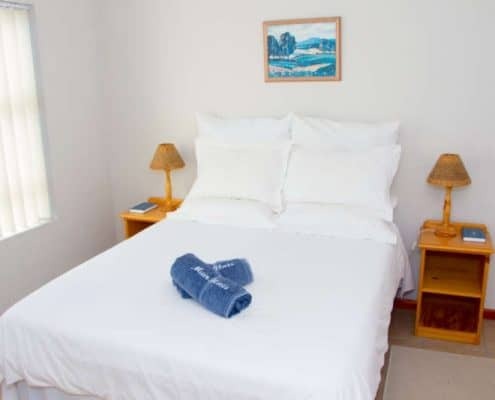 This B&B and Guest house is only a short drive from the river, the blue flag beach, the shops, restaurants as well as all the attractions and activities. 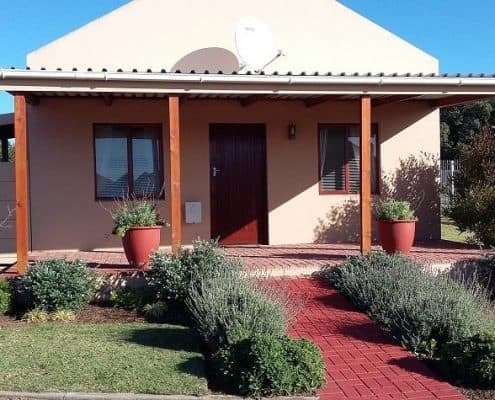 Self-catering holiday accommodation for six in Still Bay East, 100 m from the blue flag beach. This comfortable, fully furnished and equipped for self-catering apartment is right in the middle of all the excitement of the summer holidays. In fact, it is within walking distance from where the famous Touchies happens every December. Moreover, this is where the boats of the toughest inflatable boat challenge, the Trans Agulhas Challenge stops over on the second day of the race.